This hike takes you to a tight bend in Oak Creek southwest of Scheurman Mountain. The hike is made up of three horse trails. Wanna guess! Yep, the "S" trail followed by the "R" trail and continuing on the "A" trail. The area boast a well used maze of horse trails. The "S" trail takes off from "Lower Red Rock Loop Road". This is the same trail that goes over Scheurman Mountain, just going away from it instead. The "S" trail takes you on a mini roller coaster ride to the edge of a neighborhood. Continue on passing a dirt road or two. I didn't pay too much attention. About a half mile in you come to "T" type intersection where the trail goes left or right. Take a left and pick up the trail next trail going right as if to continue onward. You'll come to the end of this trail at yet another "T" type intersection. When you look at the marker here it should say "R". This is correct, you crossed over to the "R" trail on that last switchover. It just wasn't clearly marked. You'll notice how the "R" came in at angle on the return trip. Anyhow take another left from the "R" trail and follow to the "A" trail. The "A" trail crosses another trail or two before bringing you to the edge of the creek bend. Here the trail goes down to the creek. It's a 200 foot drop to the creek. The views are fair. I didn't find this to be a gem trail by any means. Oak Creek was running well on this day. The water level was obviously higher than usual. The trail goes right into the creek, I'm not sure if it continues on the other side. Horses may just cool off down here. I didn't see a single horse. It's likely you will as the trail is etched with horse shoes. You might check out some of the other trails in the area, but I doubt there's anything exciting. The "A" trail continuing on past the gooseneck bend has been labeled "Trail Closed". According to Sedona Hikes there's a ruin cabin in another 0.7 miles. The "Trail Closed" marker seemed a little odd as it was placed right in front of the "A" trail sign and the path wasn't blocked. 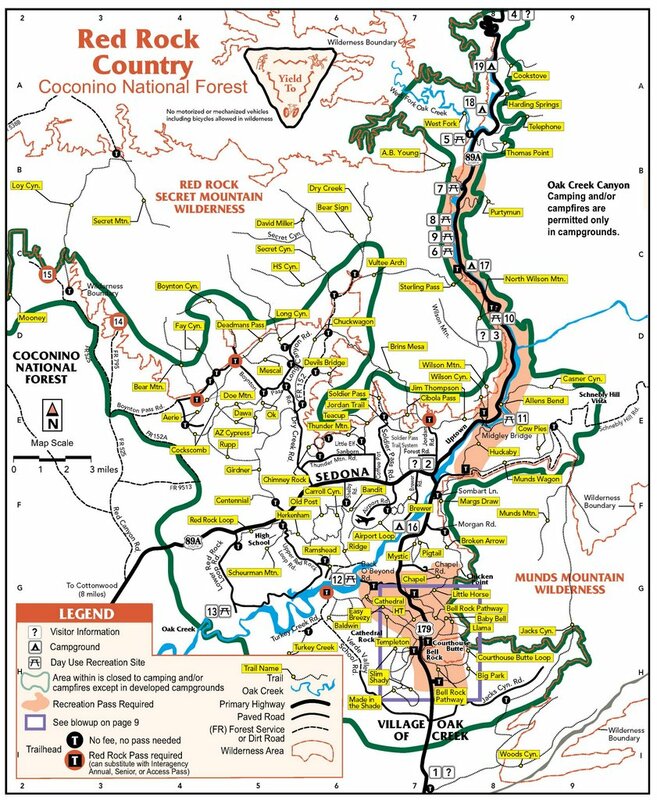 I'd call the Sedona Forest Service before venturing on. From the Sedona "Y" go west (what seems like South) on 89A 5.4 miles to Lower Red Rock Loop. Turn left onto Lower Red Rock Loop (this seems to be a speed zone so be careful turning) and follow 1.8 miles to the wide shoulder on the right just before a retain rail. There's room for about 3 - 4 vehicles. To reach the trail walk back on the road (the way you came) for about a tenth of a mile. The trail takes off on the left side of the road going down a little. Scheurman Mountain trail takes off across the road on the right going up.